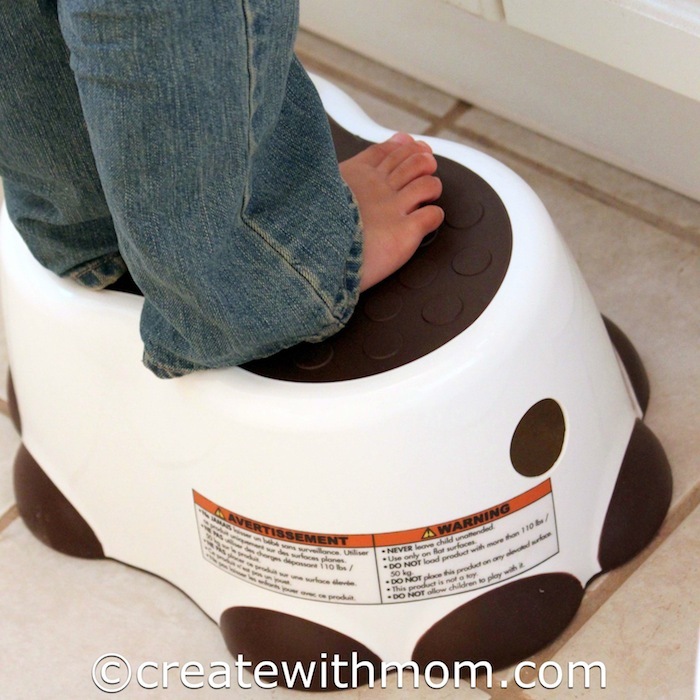 This Bumbo step stool is very handy to have in every home with children. We really like the design of this step stool that resembles the foot of an elephant. In our home, my son uses this stool all the time to reach the sink. This stool encourages our children to be independent, as they can use it when they are learning to wash their hands or brush their teeth. This sturdy step stool has slip resistant grips on the bottom, unlike other step stools I have seen so anyone up to 110 pounds can safely stand to reach things. The grip on the top gives extra traction, making the stool very safe. Since it is not a toy don't allow children to play with the stool, when children are using it they require supervision. This portable, lightweight stool made in South Africa is wide enough for children to stand or sit. The sales from Bumbo products benefit Maranathan Bana, a non-profit organization in South Africa that helps underprivileged children. This Bumbo step stool is available in pink, blue and ivory and is distributed in Canada through Oyaco. It is sold in over 600 retail and online stores across the country. I recommend this high quality product to be useful to have in our home. This step stool will be handy even after our children are done using it; after all we all need a step stool for something or another. I really like the look of this stool. It seems sturdy enough for both of my girls to use. It seems like it has less of the wobble factor to it. I like the stability of this stool. The slip resistant grips are great. Thanks for the review. That is the cutest stool ever. We are huge elephant lovers. This one is awesome, and stable too, would love to get one for my little one.